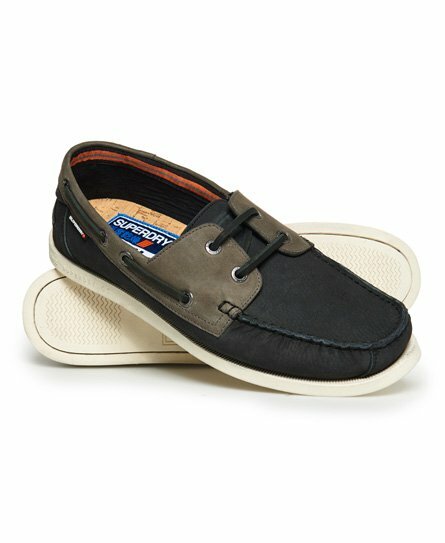 Superdry men's Leather deck shoe. Crafted from top quality leather, these deck shoes are a great versatile option to have in your wardrobe for when the warmer weather hits. Featuring a lace fastening, branded eyelet detailing and a logo tab on the side. These shoes are completed an embossed logo on the side of the sole. Pair these deck shoes with chinos and a button down shirt for a look that will take you through the season.